This is the official website of Marcham Parish Council. It aims to provide information about the role of the Council and what we have been doing on behalf of the village. Please let us know if there is anything else that you would like to see on these pages. All enquiries about the work of the Council should be addressed to our Clerk, who is Mrs Linda Martin. She can be contacted by telephone/fax on 01865 391833, by email to clerk@marchamparishcouncil.gov.uk or by post to 90 Howard Cornish Road, Marcham, Abingdon OX13 6PU. There will be a temporary road closure to a section of Morland Road whilst road crossing for Thames Water & British Gas site services works are carried out. The temporary closure will operate from 8 April 2019 up to and including 12 April 2019. Access will be maintained for emergency service vehicles and for those frontages within the closure area, subject to the progress of the works and liaison with the works supervisor. Please click here for a drawing showing the extent of the closure and also the alternative routes for traffic. Further information regarding the works may be obtained by contacting Vince Kelly, VFK Groundwork Contractors Ltd. The Parish Council has published its annual accounts for the period 1 April 2017 to 31 March 2018. If you would like full details, then please click in the Accounts box on the left of the screen. The Parish Council has published its Data Protection Policy and Privacy Notice in order to conform to the new General Data Protection Regulation (GDPR). Please click here for our Data Protection Policy or click here for our Privacy Notice.. The Vale of White Horse District Council has amended its proposal to put an extra 520 houses in Marcham as part of their Local Plan Part 2. Their new proposal is for 90 extra houses south of the A415, to the east of Willow Farm. This is in addition to the 260 new houses that are already planned or built. This new version of the Local Plan Part 2 will now be examined by the independent planning Inspector. The 31 bus service has been renumbered as the S8. The timetable is very similar to the old one but the 'fixed' time bus-stop will now be by Duffield Place (on Howard Cornish Road), and the service to Oxford will run about 3 minutes later. Click here for the new S8 timetable.. The timetable for the 15 bus remains the same - click here for the current 15 timetable. You can find out what time the next S8 or 15 bus is due here in Marcham by using an online system called OxonTime. Just tell it your postcode and you can then find out what time the next bus is due at any of the 8 stops here in the village. Click here if you would like to use it. As with all of our bus services, we need to use them whenever possible if we want to keep them running. Could you use the bus the next time you take a trip to Abingdon, Oxford, Wantage or Witney and leave the car in the garage? The Parish Council has funded a heart defibrillator for the village, which has been installed on the front wall of the Primary School. There are two other defibrillators in the village - one is on the front wall of the village shop, and the other is in the main building of Denman College. Hopefully we won't ever have to use any of them. However, if you witness any incident which looks like it might be needed, ring 999 as soon as possible and, if appropriate, the operator will talk you through what to do. Marcham village shop and Post Office is open from 7.30am to 5.30pm Monday to Friday, 8.00am to 12.00pm on Saturday and 8.00am to 10.00pm on Sunday. The shop and Post Office are staffed by a mixture of volunteers and employees. Six major planning applications have now been approved for a total of 260 new houses within Marcham. 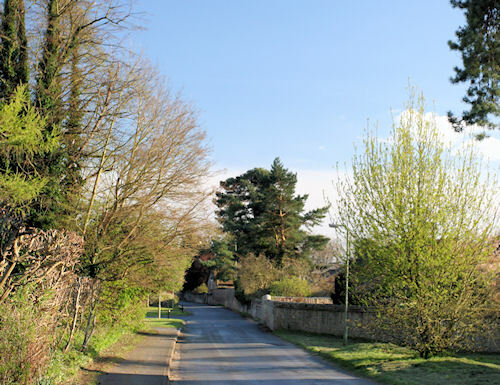 In an attempt to preserve its rural character and to get the best possible outcome for Marcham, the Parish Council has produced its own guidance for new housing developments. This is primarily aimed at developers, and we are asking all current and future developers to consider this guidance when producing designs for the village. Please click here for the guidance itself. Oxfordshire County Council have made an emergency closure for public safety reasons of part of Bridleway 17 that crosses the bridge that spans the river Ock south of Marcham Mill. The order took effect from 5 August 2013, and it has now been extended to 2020. The effect of the Order is to temporarily prohibit persons and vehicles from crossing the bridge. Appropriate signs are displayed to indicate the prohibition is in force. Exemptions are included for emergency services and for the works. There is no convenient alternative route. Please click here for details of the closure. The Freedom of Information Act gives you the right to request information held by public authorities. Under this legislation the Parish Council has now set out where access to public information held by the Council can be found. If you would like further details, then please click in the Publications box on the left of the screen.